"With approximately 5,100 undergraduate students and a few hundred graduate students, "private, comprehensive" Bradley University bills itself as "the ideal size for living and learning." "It's easy to establish one-on-one relationships" with BU's "knowledgeable" professors and it's "easy, quick, and convenient to get to and from class" on Bradley's "beautiful" and "self-contained" campus." Describe the type of student who should not attend Bradley University and explain why. Describe the type of student who should attend Bradley University. Why? What is a typical Bradley University student like? Describe the type of person that should attend Bradley University. What are the top 3 reasons someone should attend Bradley University? What was a typical Bradley University student like in high school? Describe the type of person that should attend Bradley University. With much regional appeal, the vast majority of students at Bradley originate form Illinois. A strong reputation in pre-med and engineering. 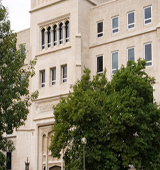 Founded by Lydia Moss Bradley in 1897, Bradley University is a private, independent university offering undergraduate, graduate, and continuing education programs in the liberal and fine arts, the sciences, business administration, communications, education, engineering, and the health sciences. Our residential campus of 6,000 students blends large school opportunities with a small school personality where there is a commitment to excellent teaching and personal attention to students. Bradley's comprehensive programs offer an effective integration of liberal education, professional preparation, and personal and social development. What are the top 3 things that students do for fun at Bradley University? 23% of students received Pell Grants, which are provided by the U.S. government to students from middle and lower income families. It gives you an idea of a school’s socio-economic diversity. Campus housing is available for undergraduates. Housing deposit : $100.00. Housing deposit due : Jun 1. Housing deposit is partially refunded if student does not enroll.. No cars. No pets. 66% of students live on-campus. 92% of freshman live on-campus. 32% of male students live in fraternities. 27% of female students live in sororities. A program that prepares individuals to communicate dramatic information, ideas, moods, and feelings through the achievement of naturalistic and believable behavior in imaginary circumstances. Includes instruction in voice and acting speech, stage dialects, movement, improvisation, acting styles, theatre history, script interpretation, and actor coaching. A program that prepares individuals creatively and technically to express emotions, ideas, or inner visions by producing art works out of clay and similar materials. Includes instruction in handbuilt and wheelthrown techniques; molding; slips and glazes; trimming and decorating; firing and kiln operation; oxidation; mixed media; ceramic murals; and personal style development. A program that focuses on the process and techniques of original composition in various literary forms such as the short story, poetry, the novel, and others. Includes instruction in technical and editorial skills, criticism, and the marketing of finished manuscripts. A program that prepares individuals to manage the planning, design, preparation, and production of plays and other theatrical entertainment programs. Includes instruction in theatrical design, program management, dramatic production, rehearsal management, personnel management and casting, actor coaching, directing concepts and techniques, theater history, scene work, script interpretation, business management, marketing, public relations, and communications skills. A program that focuses on literature from one or more genres, cultures or traditions. Includes instruction in period and genre studies, author studies, literary criticism, and studies of various types of literary text. A program that prepares individuals to organize and manage music organizations, operations, facilities, and personnel. Includes instruction in business and financial management; marketing and fundraising; personnel management and labor relations; event promotion and management; music products merchandising; artist agency and promotion; music law; and applications to specific activities such as managing theaters, recording studios and companies, bands and other ensembles, individual artists, and music organizations. A program that prepares individuals creatively and technically to express emotions, ideas, or inner visions by the application of paints and related chemical color substances to canvases or other materials. Includes instruction in color and color mixing, surface preparation, composition, oil and acrylic media, watercolor media, painting techniques, and personal style development. A program that focuses on the principles and techniques of communicating information, ideas, moods, and feelings through the creation of images on photographic film, plates, and digital images and that may prepare individuals to be professional photographic artists. Includes instruction in camera and equipment operation and maintenance, film and plate developing, light and composition, films and printing media, color and special effects, photographic art, photographic history, use of computer applications to record or enhance images and applications to the photography of various subjects. A program that prepares individuals creatively and technically to express emotions, ideas, or inner visions by rendering art concepts onto surfaces and transferring images, via ink or dyes, onto paper or fabric. Includes instruction in monochrome and color printing; tonality; chemistry; equipment set-up and maintenance; techniques such as serigraphy, lithography, intaglio, woodcut, block, stencil, relief, etching, and composite; and personal style development. Any instructional program in rhetoric and composition/writing studies not listed above. A program that prepares individuals creatively and technically to express emotions, ideas, or inner visions by creating three-dimensional art works. Includes instruction in the analysis of form in space; round and relief concepts; sculptural composition; modern and experimental methods; different media such as clay, plaster, wood, stone, and metal; techniques such as carving, molding, welding, casting, and modeling; and personal style development. A program that prepares individuals to manage risk in organizational settings and provide insurance and risk-aversion services to businesses, individuals, and other organizations. Includes instruction in casualty insurance and general liability, property insurance, employee benefits, social and health insurance, loss adjustment, underwriting, risk theory, and pension planning. Appraise automobile or other vehicle damage to determine repair costs for insurance claim settlement. Prepare insurance forms to indicate repair cost or cost estimates and recommendations. May seek agreement with automotive repair shop on repair costs. A program that prepares individuals to possess the skills associated with direct promotion of products and services to potential customers and to function as independent sales representatives and managers. Includes instruction in consumer psychology, image projection, public speaking and interpersonal communications, sales organization and operations, customer relations, professional standards and ethics, and applicable technical skills. Directly supervise and coordinate activities of retail sales workers in an establishment or department. Duties may include management functions, such as purchasing, budgeting, accounting, and personnel work, in addition to supervisory duties. Directly supervise and coordinate activities of sales workers other than retail sales workers. May perform duties such as budgeting, accounting, and personnel work, in addition to supervisory duties. Sell spare and replacement parts and equipment in repair shop or parts store. Sell or solicit advertising space, time, or media in publications, signage, TV, radio, or the Internet. Includes individuals who obtain leases for outdoor advertising sites or persuade retailers to use sales promotion display items. Plan and sell transportation and accommodations for travel agency customers. Determine destination, modes of transportation, travel dates, costs, and accommodations required. May also describe, plan, and arrange itineraries and sell tour packages. May assist in resolving clients' travel problems. All services sales representatives not listed separately. Sell goods for wholesalers or manufacturers where technical or scientific knowledge is required in such areas as biology, engineering, chemistry, and electronics, normally obtained from at least 2 years of post-secondary education. All sales and related workers not listed separately. A program that prepares individuals to develop and manage independent small businesses. Includes instruction in business administration; enterprise planning and entrepreneurship; start-up; small business operations and problems; personnel supervision; capitalization and investment; taxation; business law and regulations; e-commerce; home business operations; and applications to specific sectors, products, and services. A program that prepares individuals to teach drama and/or dance programs at various educational levels. A program that focuses on the design of educational services for children or adults with multiple disabilities which adversely affect their educational performance and that may prepare individuals to teach such students. Includes instruction in identifying students with multiple disabilities, developing individual education plans, teaching and supervising students with multiple handicaps, counseling, and applicable laws and policies. A program that focuses on the design of educational services for children or adults with specific learning disabilities which adversely affect their educational performance and that may prepare individuals to teach such students. Includes instruction in identifying students with specific learning disabilities, developing individual education plans, teaching and supervising students with specific learning disabilities, counseling, and applicable laws and policies. A program that prepares individuals to teach vocational home economics programs at various educational levels. A program that prepares individuals to teach French language programs at various educational levels. A program that prepares individuals to teach German language programs at various educational levels. A program that prepares individuals to teach speech and language arts programs at various educational levels. A program that prepares individuals to conduct and supervise complex medical tests, clinical trials, and research experiments; manage clinical laboratories; and consult with physicians and clinical researchers on diagnoses, disease causation and spread, and research outcomes. Includes instruction in the theory and practice of hematology, clinical chemistry, microbiology, immunology, immunohematology, physiological relationships to test results, laboratory procedures and quality assurance controls, test and research design and implementation, analytic techniques, laboratory management, data development and reporting, medical informatics, and professional standards and regulations. Perform complex medical laboratory tests for diagnosis, treatment, and prevention of disease. May train or supervise staff. A program that prepares registered nurses to teach in academic and clinical settings, including staff development. Includes instruction in advanced nursing practice, nursing role development, curriculum and instruction, program and course design, clinical instruction, and evaluation of learning. Any instructional program in registered nursing, nursing administration, nursing research, and clinical nursing not listed above. A general, program that focuses on the integrative scientific study of biological issues related to health and medicine, or a program in one or more of the biomedical sciences that is undifferentiated as to title. Includes instruction in any of the basic medical sciences at the research level; biological science research in biomedical faculties; and general studies encompassing a variety of the biomedical disciplines. Any instructional program in civil engineering not listed above. A program that prepares individuals to apply scientific, mathematical, and management principles to the planning, design, and building of facilities and structures. Includes instruction in civil engineering, structural principles, site analysis, computer-assisted design, geology, evaluation and testing, materials, contracting, project management, graphic communications, and applicable laws and regulations. A program that generally prepares individuals to apply mathematical and scientific principles to solve a wide variety of practical problems in industry, social organization, public works, and commerce. Includes instruction in undifferentiated and individualized programs in engineering. A program focusing on the use of physics principles in the analysis and evaluation of engineering problems and other scientific applications. Includes instruction in high- and low-temperature phenomena, computational physics, superconductivity, applied thermodynamics, molecular and particle physics applications, and space science research. A program that prepares individuals to apply scientific and mathematical principles to the design, improvement, and installation of integrated systems of people, material, information, and energy. Includes instruction in applied mathematics, physical sciences, the social sciences, engineering analysis, systems design, computer applications, and forecasting and evaluation methodology. Design, develop, test, and evaluate integrated systems for managing industrial production processes, including human work factors, quality control, inventory control, logistics and material flow, cost analysis, and production coordination. A program that focuses on the theory, organization, and process of information collection, transmission, and utilization in traditional and electronic forms. Includes instruction in information classification and organization; information storage and processing; transmission, transfer, and signaling; communications and networking; systems planning and design; human interfacing and use analysis; database development; information policy analysis; and related aspects of hardware, software, economics, social factors, and capacity. A program that prepares individuals to apply scientific and mathematical principles to the design, development, and implementation of manufacturing systems. Includes instruction in materials science and engineering, manufacturing processes, process engineering, assembly and product engineering, manufacturing systems design, and manufacturing competitiveness. A program that prepares individuals to apply basic engineering principles and technical skills to the identification and resolution of production problems in the manufacture of products. Includes instruction in machine operations, production line operations, engineering analysis, systems analysis, instrumentation, physical controls, automation, computer-aided manufacturing (CAM), manufacturing planning, quality control, and informational infrastructure. A program that focuses on the scientific study of reproductive processes and biogenesis in animals and human beings. Includes instruction in reproductive ecology and behavior, reproductive system physiology, endocrinology, developmental biology, neuroendocrinology, evolution and types of reproductive systems, reproductive genetics, physiopathology of reproductive processes, and applications of molecular biology and biophysics to the study of reproductive physiology. A program that prepares individuals to use computer applications and related visual and sound imaging techniques to manipulate images and information originating as film, video, still photographs, digital copy, soundtracks, and physical objects in order to communicate messages simulating real-world content. Includes instruction in specialized camerawork and equipment operation and maintenance, image capture, computer programming, dubbing, CAD applications, and applications to specific commercial, industrial, and entertainment needs. Any instructional program in communication, journalism, and related fields not listed above. A program that focuses on product and service promotion from the perspective of individual and family consumers and that prepares individuals to function as consumer management and marketing consultants in for-profit and non-profit enterprises. Includes instruction in applied market research, consumer behavior, product sourcing and distribution, profitability, customer feedback and evaluation methods, promotion and retailing campaign development, and applications to specific domestic and international consumer markets. A general program that focuses on family and consumer sciences, including how individuals develop and function in family, work, and community settings and how they relate to their physical, social, emotional, and intellectual environments. Any instructional program in family and consumer sciences/human sciences business services not listed above. A general program that focuses on the role of foods and nutrition in human health and wellness. Includes instruction in nutritional care and education, the planning and provision of food services, the development of consumable food products, life-span nutrition and wellness, the principles of nutritional assessment, and food safety and food composition. A program that focuses on the use of still and motion photography in journalism and prepares individuals to function as news photographers and photographic editors. Includes instruction in photography, journalism, studio procedures and techniques, camera and equipment operation and technique, news editing, print and film editing, news scene composition, subject surveillance, media law and policy, news team field operations, and professional standards and ethics. Any instructional program in organizational communication, public relations, and advertising not listed above. A program that focuses on the methods and techniques for communicating about sports in a variety of formats, media, and contexts; and that prepares individuals to be sports reporters and writers, photojournalists, radio and television announcers, producers and directors, recreational sports promoters, and public relations specialists. Includes instruction in sports writing, photography, broadcast journalism, sports production, game rules, media and public relations, and sports promotion. 94% of students graduated in the top half of their class. 69% of students graduated in the top quarter of their class. 35% of students graduated in the top tenth of their class. The average student pays $25,683 for tuition, fees, and other expenses, after grants and scholarships. Total stated tuition is $29,320, in-state and on-campus, before financial aid. 98% of students receive some form of financial aid. Learn more about financial aid at http://sfs.bradley.edu. Estimate the net price for you at http://admissions.bradley.edu/ssl/estimator/?status=viewtab1. 54% of students graduated on time. 75% of students graduated in six years. The typical (median) early career salary of Bradley University graduates is $49,200, according to Payscale. Bradley University participates in the NCAA Division I-AAA for college athletics. Colleges: This is a Library? Want more info about Bradley University? Get free advice from education experts and Noodle community members. What are Bradley University sororities like?